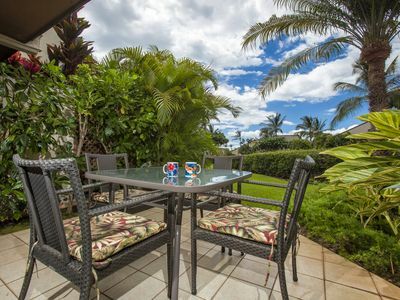 Welcome to Maui Kamaole C-109, one bedroom, two bath, owner direct luxury vacation rental located in South Maui, Hawaii (Kihei). 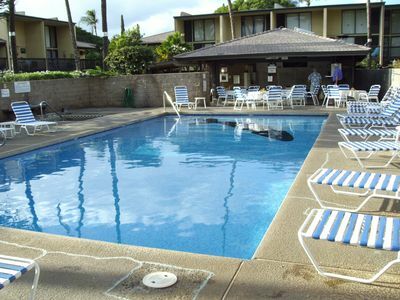 The Maui Kamaole complex offers two swimming pools, two hot tubs, tennis courts, and activity center, lush landscaping, barbeques and is located directly across from one of Maui's best beaches, Kamaole III. 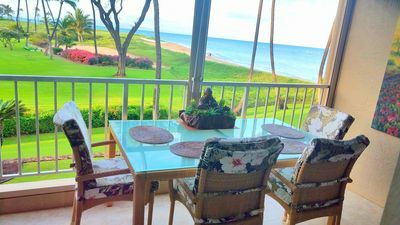 This condo is available for rent directly from owner, and is located in beautiful and tropical south Maui, along the Kihei-Wailea line. 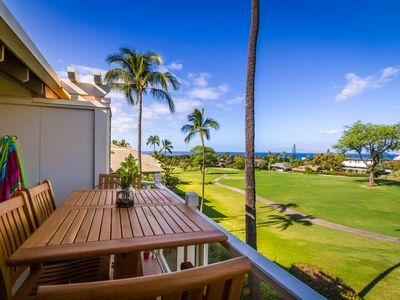 Please browse the photos and details of this newly updated, one bedroom, two bath condo. 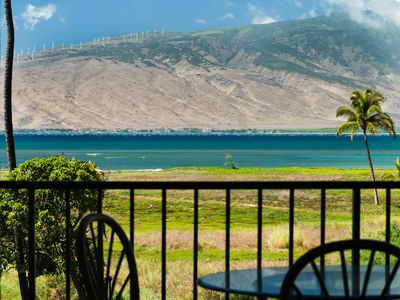 The condo complex has one of the best locations in Maui and this condo has one of the best locations on the property. 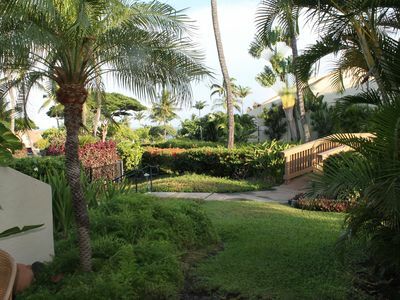 The condo is a ground floor unit, with ocean and garden views, located just steps from the lower pool. 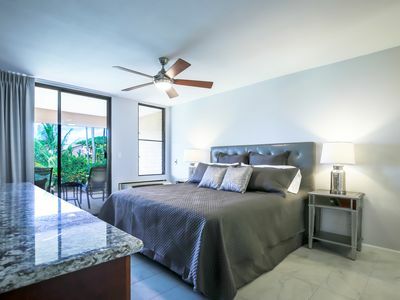 This condo features luxury bedding with new down-free comforters. 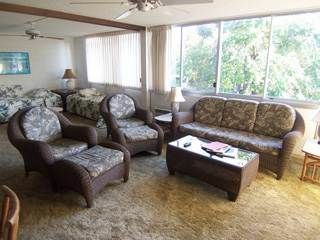 There is very comfortable furniture throughout and the unit has a great floor plan. 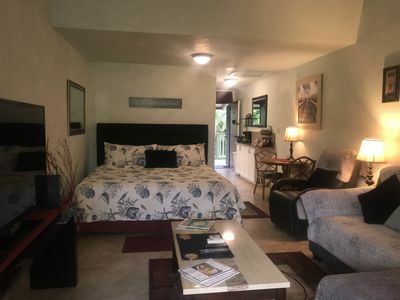 The master bedroom has a king bed and adjacent vanity area leading to the bathroom with a bathtub and over head shower. 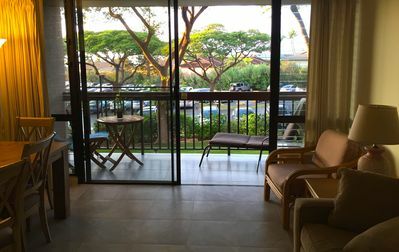 The master has a private, sunny lanai (balcony) for a light filled room, and has blackout curtains to keep cool and for sleeping in. The family room has a pull out couch which is a queen bed. 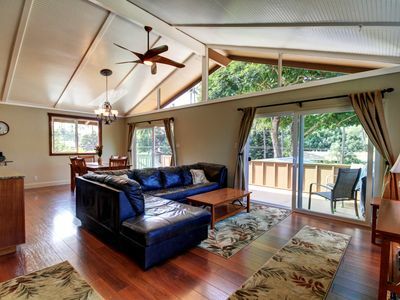 The family room has a second Lanai, adjacent to the pool area with outdoor dining and chairs for relaxing. 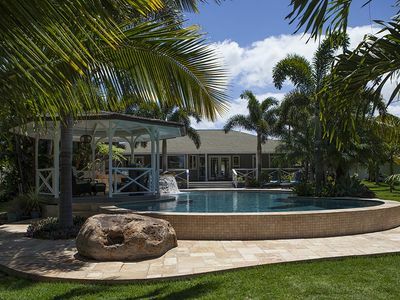 Despite being steps away from the pool, the unit is quiet and private. 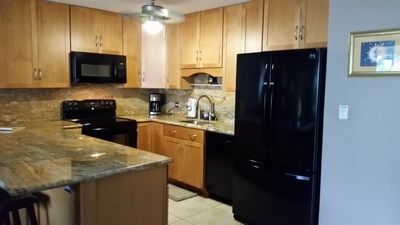 The condo is well equipped with a fully stocked kitchen including extra amenities such as a toaster oven, rice cooker, blender, spices, and more. Be sure to check out what’s available before doing your food shopping! 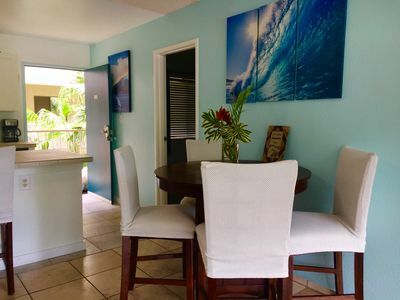 Condo is very child friendly, featuring multiple boogie boards, sand toys, pool noodles and snorkeling gear in many sizes. Also includes beach chairs, multiple coolers, even a pop up shade unit. Be sure to check out the closets before renting any gear! There are 2 TV’s with cable, one in the bedroom and one in the family room, which also has a DVD player. High speed internet. 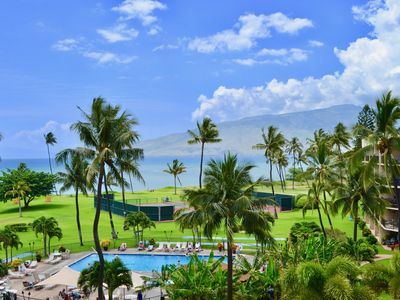 It is very close to the luxury hotels and shops at Wailea and is a good central location to get to attractions such as the beaches of Kihei, Maui Ocean Center, Lahaina, and more! 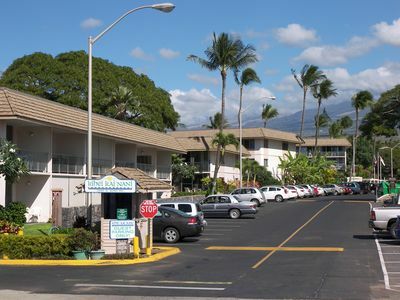 Nearby paddle board rentals and surf lessons. 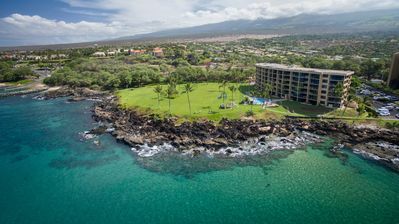 Please look at the photos and email any questions and book early to get the dates you need for your Hawaii vacation. 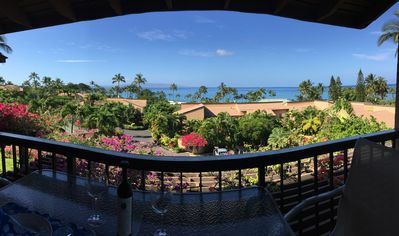 Keywords: Condominium, family friendly, Kihei, Wailea, ocean view. 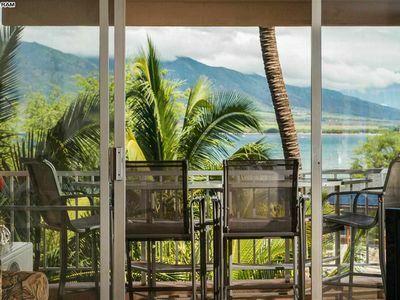 ***Unit 501 CORNER END UNIT***AFFORDABLE PARADISE***PERFECT FOR YOUR VACATION!!! Quiet, All New Kitchen, Bath, & King size bed! 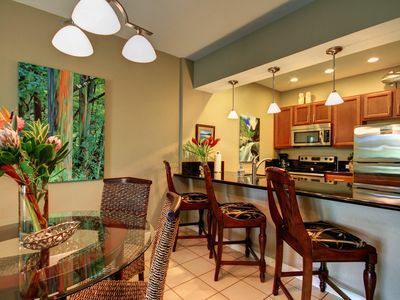 Completely Renovated Modern, Stylish, New Mattresses, Netflix, Sound Bar!